Ghaziabad: Income Tax officials seized nearly Rs 28 lakh, half of it in new currency notes, from two men travelling in a taxi, police said. 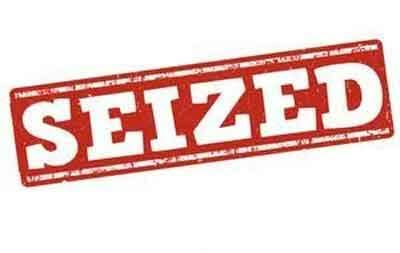 The seizure was made near Kaushambi locality. Superintendent of Police, City, Salman Taj Patil told IANS that on Friday evening, the Income Tax department sought police help and a team of personnel was provided. Around 7 p.m., the tax officials intercepted an Ola cab and recovered the cash from its boot. The two passengers were identified as Amit, a doctor and Luvdeep, a teacher. The income tax officials took them and the cash to the Kaushambi police post where they coun ed the currency notes and found Rs 14,84,000 were in new currency notes while Rs 13,00,000 were old currency notes. The interrogation was continuing till the filing of this report. Patil said that the police work had been done and the remaining probe is being conducted by the tax officials.